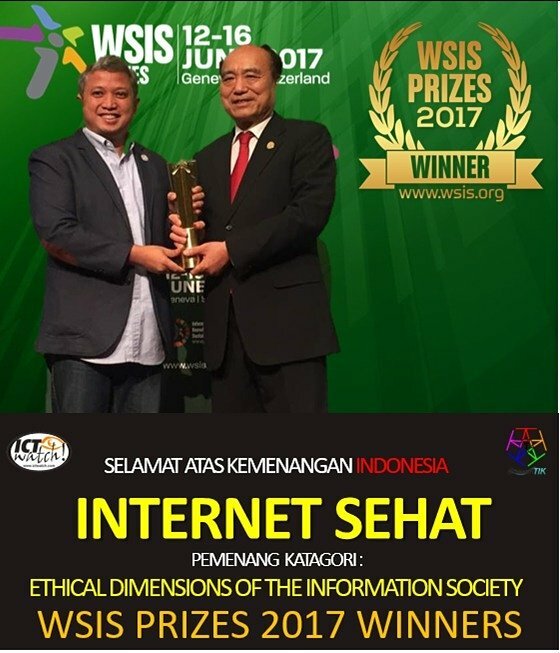 Cyber Stewards Network partner ICT Watch Indonesia was recently recognized at the World Summit on the Information Society Forum (WSIS) for their tireless work in championing online freedom of expression. Their winning project, “Internet Sehat” (Internet Healthy) Towards Indonesian Information Society, provides high-quality Indonesian online content. The project included a variety of approaches to fostering strong digital literacy skills, such as creating social movement documentaries, producing print literature, and running in-person workshops to develop the capacity of various stakeholders. Partners on the project included the Indonesian Ministry of Communication and Information Technology, the Alliance of Independence Journalists, and the Southeast Asia Freedom of Expression Network. The World Summit on the Information Society Forum is the world’s largest annual gathering of ICT experts and advocates that work towards sustainable development. Read more about WSIS here.